I hope you all enjoyed the beautiful spring weather yesterday and watched an inspiring young lady jockey the winning horse in the Melbourne Cup. Michelle Payne, 30 years of age, set her target high by wanting to win this famous race. What an achievement! The Herald Sun reported her as, ‘… one impressive, humble, down-to-earth woman; one whose goal is clearly to inspire…’ The Age wrote, “And I dreamt about it from when I was five years old and there is an interview from my school friends, they were teasing me about, when I was about seven, and I said, “I’m going to win the Melbourne Cup” and they always give me a bit of grief about it and I can’t believe we’ve done it.” (emphasis added). 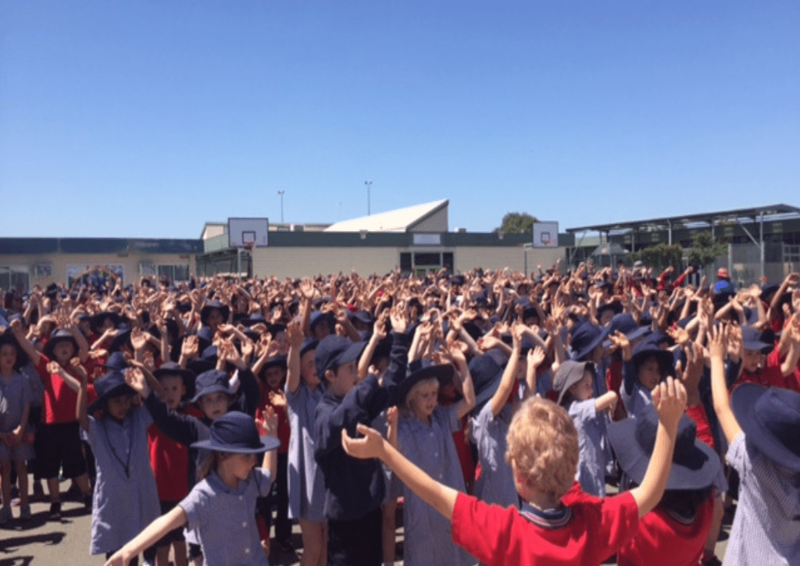 All of the 875 children currently at Hillsmeade PS could be the headline in the papers in the future. As parents and educators, let’s encourage them to set their learning goals high, support them to persevere and challenge them to do their very best. Maldon, here come the Grade 4 children on camp! 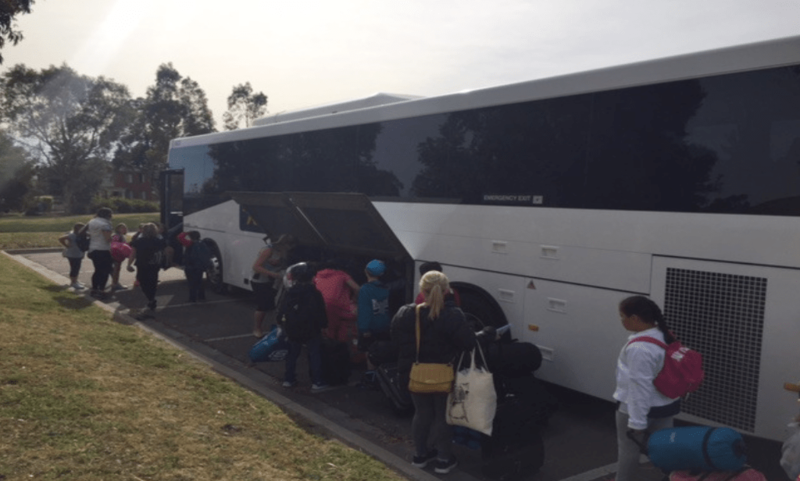 Two buses were loaded this morning with 100 boys and girls off for three days. We hope they have fantastic time and I’m excited to be catching up with them tomorrow evening. On Monday and Tuesday last week, I attended the Victorian Principals Association’ s Conference in Melbourne. The conference, ‘Leaders – Believing in Self’ provided opportunities for us to reflect on how we, as leaders in our schools, work in relationships which impact both our professional and personal lives. We looked at our own behaviour through a profiling tool affording us the chance to consider how to change our behaviour when circumstances necessitated change Resilience, reducing stress, increasing productivity and identifying our own potential also featured through excellent presenters of the various workshops. As a State Councillor on the VPA, I value the professional association’s support for the challenging and changing role of principals in schools. Our Assistant Principals and Leading Teachers are also members of the VPA. At the dinner on Monday night, I was fortunate enough to have received a Study Award of $5,000 to build the capacity of our leadership team (including the PLT leaders). 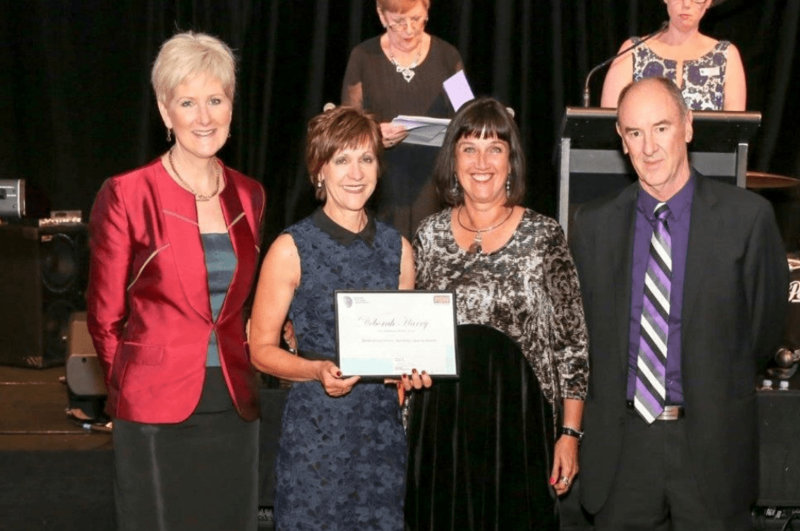 I received the award from Gill Callister (Secretary, DET), Gabrielle Leigh (President, VPA) and Mr Brooks (PSW Sponsor). Every Face has a Place – A mural project will commence this term celebrating the many cultures we have at Hillsmeade Primary School. We would like to thank Bunnings Cranbourne in supporting us in this project by sponsoring the paints required to make this mural project a success!